a re-imagined, new generation of the IBM Mainframe. This is the first mainframe specifically designed for growing your business in the digital economy. Designed to help solve your most difficult business challenges, it provides extreme scale, in terms of memory, I/O and processing power, on a single physical server that can quickly respond to dynamic changes in your business fluctuations. The value of growing your business with the IBM z13 server can really be defined in three areas: traditional data serving and transactional processing; price performance enhancements; and the ability to deliver greater scale in a highly trusted, reliable and secure environment. 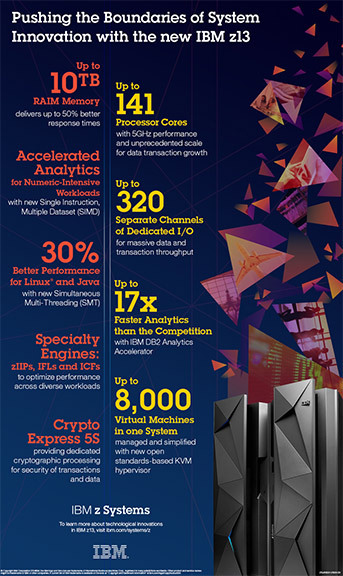 How can the IBM z13 help you in growing your business? Do you have plans to better analyze your customer data to provide new services or create new business opportunities? Having up to 10 TB of available memory can improve your response time and help support your ability to make faster business decisions. This increase, in memory size, opens up opportunities such as in-memory data marts and in-memory analytics, which gives you the necessary room to tune applications for optimal performance. How are you currently utilizing data analytics in your IT operations? IBM z13 provides massive scale on a single physical server, delivers real-time information and insight from data, and provides unmatched security and reliability. How are the numbers of servers in your data center impacting your budgets? Allowing you to scale as needed, and to support more work on a single footprint, helps eliminate the need for unbudgeted hardware purchases. IBM z13 contains up to 141 configurable processors (40 percent more than your zEC12) and 85 LPARs (compared to 60 on your zEC12). 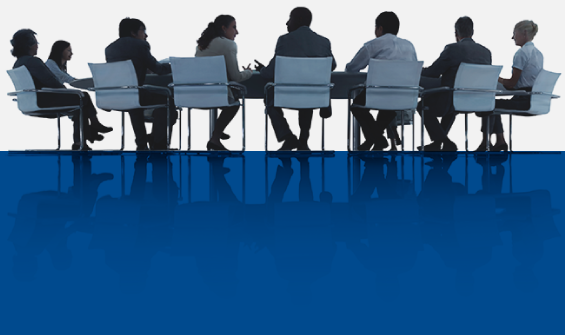 Learn more about growing your business with the new IBM z13 by contacting your Mainline Account Executive today.